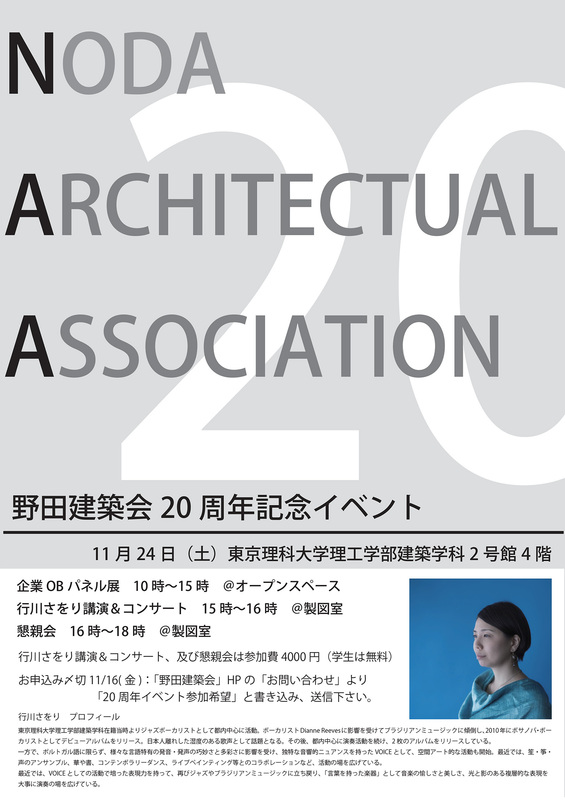 The Noda Architecture Association will hold their 20th Anniversary event on 24 November. Come and enjoy a lecture and concert. For more information see below.